With November fast approaching and summer sunshine already a distant memory, it’s time to start thinking about Christmas once again. Although it may seem a little early for festive shopping, planning in advance gives you time to budget for something really special – whether it’s a gift for your partner, or a well-deserved end-of-year reward for yourself. This is particularly true if you’re in the market for some of this year’s hottest dive equipment, a lot of which is as pricey as it is desirable. In this article, we take a look at five of the many new-to-the-market gear items that are well worth their considerable price-tags. 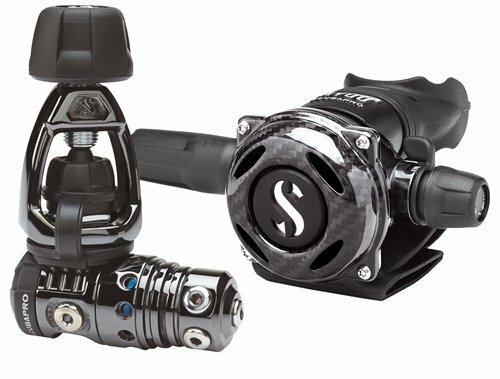 Earlier this year, Scubapro released the latest version of their legendary MK25 Evo/ A700 regulator – the Carbon Black Tech. The regulator’s incredible cold water capabilities remain the same, thanks to a set of special adaptations that include parts coated with an anti-freeze layer in the balanced piston first stage; and a cold-conducting metal housing for the second stage. Together, these adaptations improve the regulator’s freezing resistance by 30%, making it the ideal choice for cold water divers. The latest edition includes a carbon fibre front cover on the second stage, making it lighter and more compact than ever. 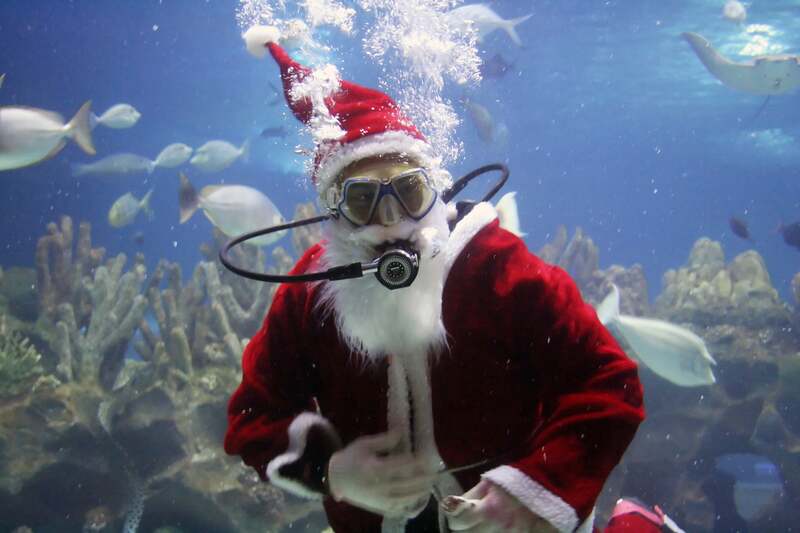 This is especially important for divers that like to travel, as it helps to keep equipment within stringent airline weight restrictions. Both the first and second stage boast a Bond-esque Black Tech coating, offering protection from scratches and corrosion. By extending the regulator’s lifespan, these additions turn the Black Tech’s high price into a worthwhile investment. 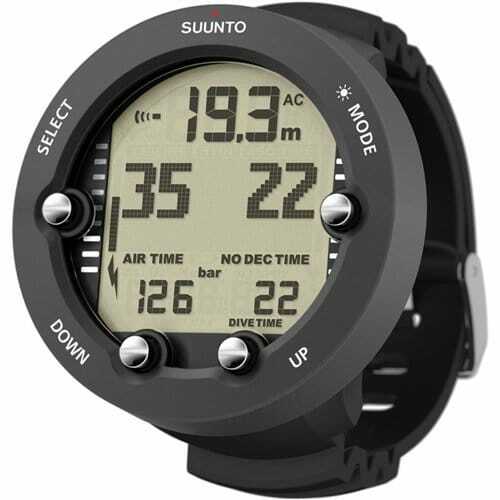 This newly released version of the much-loved Suunto classic may not be 2016’s priciest dive computer, but it is one of the most popular. It offers wireless air integration via a transmitter (which must be bought separately), delivering important information including your current cylinder pressure and your remaining air time directly to your wrist. It also includes a built-in dive planner and a digital compass with tilt compensation and a 3D display. The Suunto Vyper Novo also boasts an increased number of dive modes – allowing for Air, Nitrox, Gauge, Freedive and Off settings. The new freediving mode includes an apnea timer. The computer is also suitable for intermediate tec divers, with a maximum operating depth of 262 feet/ 80 metres and the ability to manage three gases, including up to 99% oxygen. Best of all, with a backlit dot matrix screen and a four-button interface, the Suunto Vyper Novo is easy to read and easy to use. The GoPro is the undisputed darling of the adventure sport world, and for good reason. The latest version comes with several new features guaranteed to make it better than ever before. 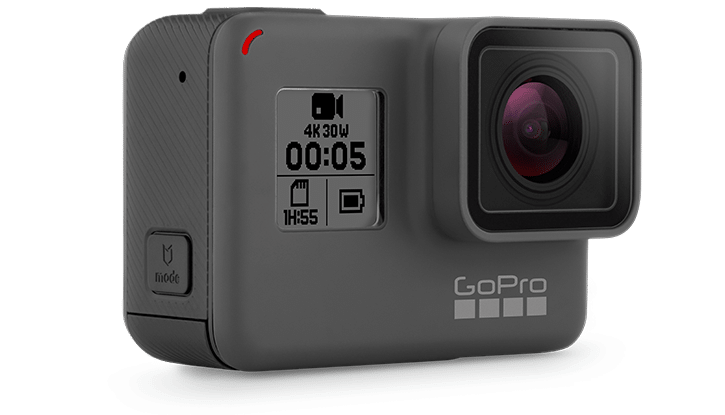 Perhaps most usefully, the GoPro Hero 5 Black is now waterproof up to 33 feet/ 10 metres without the housing. This means that divers no longer have to worry so much about taking the camera out of its housing to swap memory cards or recharge the battery during less-than-dry surface intervals. The new GoPro also responds to voice controls in seven languages (although not underwater). It allows for 4K video capture in Single, Burst and Time Lapse modes; and has an inbuilt GPS that records the location of your shots. 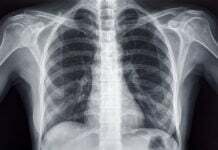 The ability to shoot RAW photos at up to 12 megapixels is another notable improvement. The camera is also incredibly easy to use, with a two-inch touchscreen that allows you to preview, playback, change settings and trim footage directly. For freedivers looking to enhance their experience underwater, OMER’s sleek-looking UP-F1 fins could well be the perfect Christmas gift. Designed by champion freediver Umberto Pelizzari, the fins combine enviable aesthetics and an innovative design geared towards increasing diver power. The 62 centimetre/ 24.5 inch blades are made from carbon fibre, and sit at a 29° angle intended to complement the natural bend of the ankle, thereby improving comfort underwater. 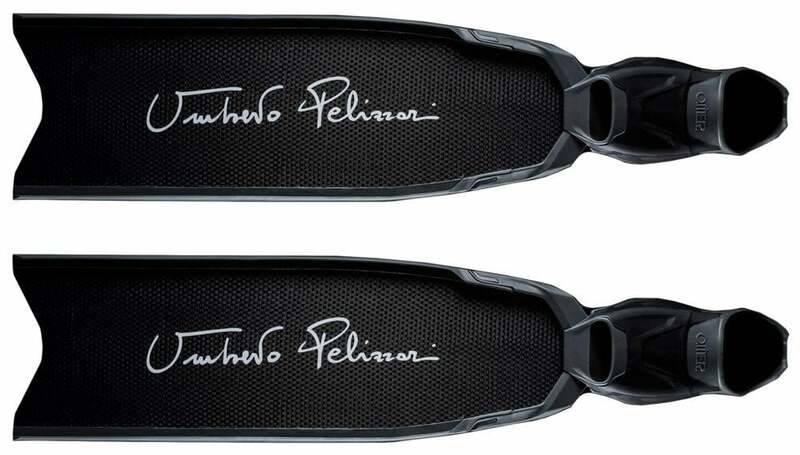 Each blade uses twin rails to channel water along the fin, increasing the power of every kick. They also detach from the booties, making them more convenient to transport. The booties are made from two different materials, and designed without the rubber sides typical to more conventional fins. This unique design makes them more comfortable, while reducing the effort required to achieve maximum thrust. An exhaust system in front of the booties also cuts down on drag. Winner of the 2016 Red Dot Award for Product Design and the 2015 DEMA Best in Show Award, Scubapro’s new Hydros Pro BC marks the future of buoyancy control. Instead of fabric, velcro and zippers, it’s made almost exclusively from Monprene®, the super-flexible, rubber-like material used for Scubapro Seawing Nova fins. This innovative material is lightweight, instant drying, and exceptionally durable. A mono-grip gel technology allows the BC to mold to your specific fit. The Hydros Pro is also incredibly adaptable, with a modular design that enables you to swap, add or remove components as required. Most usefully, it has an integrated weight system that can be switched for lightweight harness straps, transforming it into the perfect travel BC. 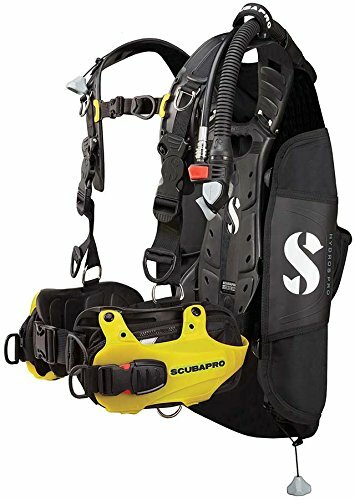 It even comes with its own backpack, with convenient extra space for the rest of your dive gear. Finally, there is a choice of no fewer than seven different colours, as well as specific fits for both men and women. This article was written with advice from Dave Glanfield, a dive expert at London-based watersports store Ocean Leisure.